The Annual General Meeting (also known as the AGM) is a legally required, member meeting that takes place every year. 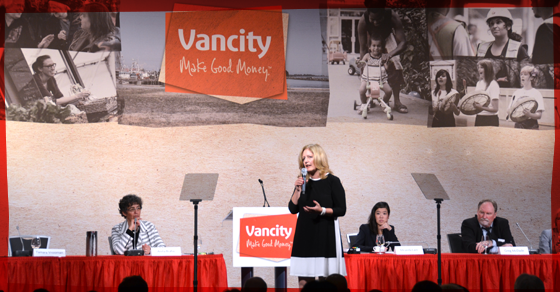 The Board and Chief Executive Officer present the Annual Report, Ordinary and Special Resolutions, and a brief overview on Vancity's performance and strategy. The 2019 AGM will be held on Tuesday May 14, 2019.
Business meeting starts at 7:00 p.m.